The Peugeot automotive has come to stand for style, reliability, practicality and is recognized in all corners of the globe. 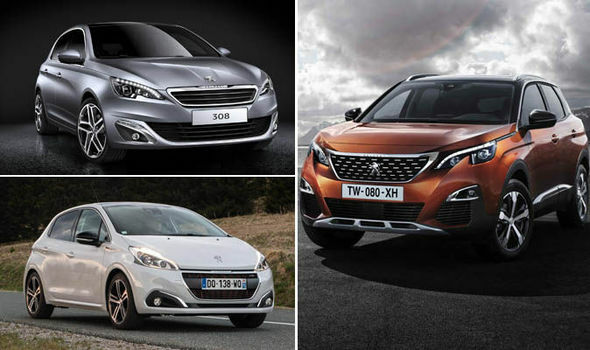 Peugeot cars offer fantastic value with quality engineering and chic presented to the market at affordable prices. Their automobiles are continually in high demand, with nearly 3,000,000 Peugeot vehicles sold in 2017 worldwide. If you have been thinking of selling your Peugeot to raise some cash or to upgrade your model, then used car guys can provide a quick and hassle-free sale. Don’t waste your time visiting dealers, advertising on auction websites or listing in newspapers. If you want to do business with serious buyers, then contact Sell My Peugeot NZ today. We buy all models of Peugeot including the 107, 3008, 207, 208, 3008, 307, 308, 4007, 407, 5008, 508, 807, Expert, Ion, Partner Tepee and Bipper Tepee. Call – Make an inquiry to the usedcarguys team by calling them on 0800 111 352 and get a no obligation quote. Drop off – Bring your old Peugeot to the nearest offices along with all the required documentation. We obviously would like to see the vehicle before stating our declared price. Cash In Your Bank Account – Once the price has been agreed and the documents signed off, the money will be either cash or transferred into your bank account with no fee, straight away. Sell now for cash. Take the stress out of selling your Peugeot and call the team at Sell My Peugeot NZ today. Unlike many ‘buy any Peugeot car’ websites John do not offer an online Peugeot car valuation using an automated system like CAP because we know that the cars condition and history are more important than what it says in a book. There are also many other factors that affect the price that we offer such as current market demand for that exact car, which is not always reflected in book values. The best way to get instant cash for your Peugeot car is to bring your used vehicle to our showroom in one of our branches (Cash for cars Auckland–Cash for cars Wellington– Cash for cars Christchurch – Cash for cars Hamilton – Cash for cars Dunedin) where we can give you our best offer instantly and arrange a secure cash payment into your bank account. Alternatively call 0800 111 352 to get a Peugeot car valuation by phone or request a car valuation online.